Hypogea can be considered under-examined environments as regards microbial biodiversity. New understanding has been gained about the predominant phototrophic microorganisms forming biofilms colonising archaeological surfaces in hypogea. In fact, the description of new taxa has remained elusive until recently, as many biofilm-forming phototrophs possess a cryptic morphology with a lack of specialised cells. A multiphasic study, including cytomorphological and ecological descriptions, genetic and biochemical analysis was carried out on the biofilms colonising hypogean environments around the Maltese islands. Molecular studies were imperative because biodiversity was found to be more complex than that indicated by classical taxonomy. The dominant microbial life-form on archaeological surfaces is a compact subaerial biofilm. 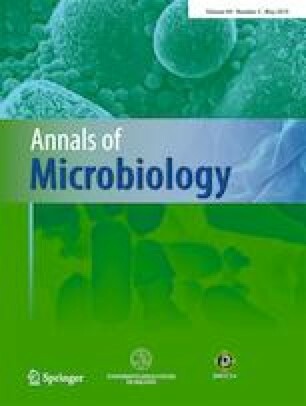 This study has led to new strains of the eukaryotic microalgal genus Jenufa, and the prokaryotic cyanobacteria Oculatella, Albertania and Nodosilinea being identified as the principal phototrophic biofilm-formers colonising the ancient decorated surfaces of Maltese hypogea. Complex morphologies and elaborate life cycles were eliminated as biodiversity was dictated only by the local contemporary microenvironment. The production of thick multilayered sheaths aided adherence to the substrate, concentrating microbial cells in biofilm formation. Albertania skiophila trichomes were able to glide inside the extracellular matrix. Oculatella subterranea exhibited phototaxis associated with a photosensitive apical cell containing a rhodopsin-like pigment. The biofilm provided a protective barrier and an improved chance of survival for cells growing in a low-nutrient, low-light environment. Effective strategies to prevent and control the growth of biofilms on the archaeological surface should take into consideration the adaptation of microorganisms to this particular mode of life. Appreciation is due to the curators at Heritage Malta and the Missionary Society of St. Paul for granting kind permission for the removal of samples from the various sites (HM: St. Paul’s Catacombs, Abbatija tad-Dejr, Ħal-Saflieni Hypogeum; MSSP: St. Agatha’s Crypt and Catacombs). Thanks are due to Elena Romano of the Centre for Advanced Microscopy of the University of Rome ‘Tor Vergata’ for her expert assistance with the use of the CLSM, and to Elliot Shubert and Alex Ball, who made possible the use of the TEM facility at the Natural History Museum in London. This research was supported by the Laboratory of Molecular Genetics at the Department of Physiology and Biochemistry of the University of Malta and facilitated through the EU SYNTHESYS grant GB-TAF-1897. The author declares that she has no conflict of interest. No humans or animals were used in this work.